Amiga 600 and Amiga 1200 is the Amiga home computers with the best file transfer compatibility of all Amiga’s. Without much hasel, you can simply connecta Compact Flash card PCMCIA card reader and you can easily move files between your Amiga’s and another computer using different operating systems. You can also use floppy, removable HDD method etc too. But tese solutions gives you more work than it should. Also HDD method needs AmigaOS to be shut down completely to remove it. SD Drive Z2 is however going to change this! SD Drive offers reliable file transfer using cheap SD / SDHC / MMC cards. So, this solution is even better than the PCMCIA CF adapter solution. Because Compact Flash memcards is going to be faced out now. 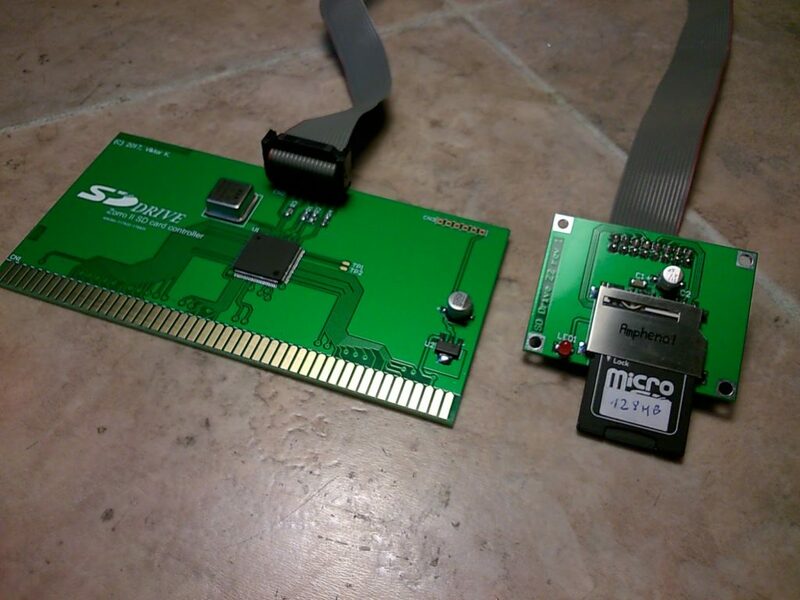 Also, SD / SDHC / MMC cards can store way more and offers a much cheaper solution for transfering files to AmigaOS. No matter if you have AmigaOS 1.2, AmigaOS 2.1, AmigaOS 3.1 or AmigaOS 3.9, SD Drive Z2 gets automaticly detected like with any other Zorro based cards. 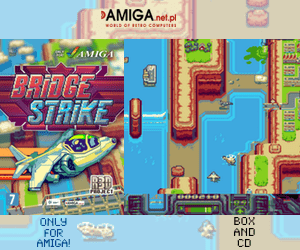 This seems to be one of the most important expansions for Amiga home computers. 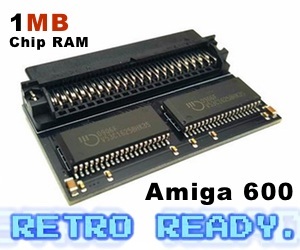 So, even Amiga 2000 machines from 1986 can have this installed directly and your Amiga 2000 can read SD / SDHC / MMC cards! 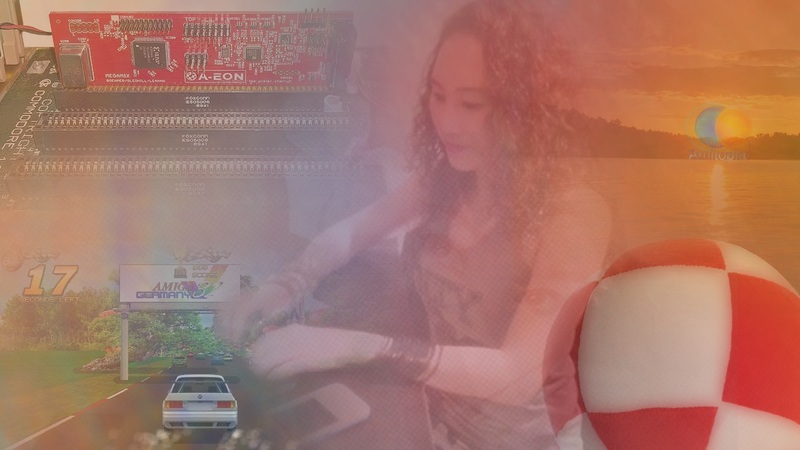 Amiga’s just get the love that they deserve. There is no limitation in card size: SD Drive can utilize any size cards. All cards which are >4 GB will be formatted to 4 GB. With the right patches, you can also read bigger SD / SDHC / MMC cards also. Make sure that your Amiga filesystem supports this. So, we recommend not to use Fast Filesystem. Instead use Smart File System (SFS) or Professional File System 3 (PFS3). You can also use the FAT95 File System package on Aminet that lets you read a more Windows and MacOSX compatible filesystem for even easier file transfers! The installation if SD Drive Z2 is very simple: Plug the autoconfig compatible card into a free slot, connect the cable to the external card reader and the hardware installation is complete. It takes no more than 5 minutes! The FAT95 filesystem should be available in L: directory. That’s all. Installing this extension isn’t difficult at all and we at Amitopia hopes to get this device for review.